Sandee and I went to a coffee shop (a well known coffee shop that starts with "Star...") in Basel after church. We had a nice time sipping our drinks, talking, and reading books. 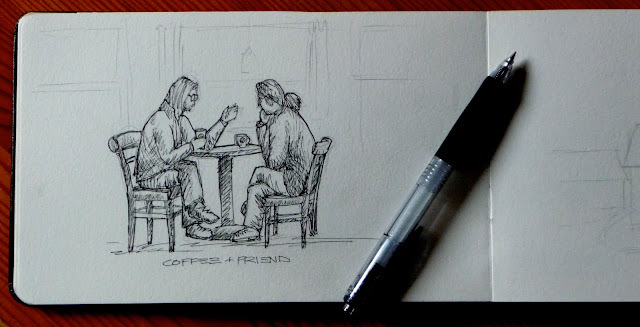 I finally got out my sketchbook and drew the two friends talking to each other across the room.